Countries approach energy transition with different starting points and various structural, economic, social and institutional particularities. This implies that instead of straightforward comparisons based on scores in the ETI, countries should be compared to a peer group with similar structural characteristics. This section describes insights from a peer‑group analysis of assigned groupings (Figure 6). 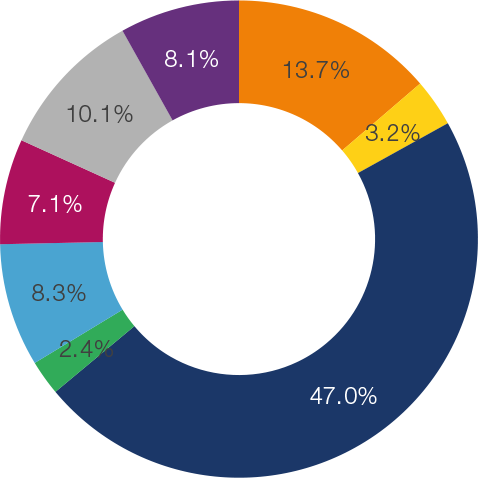 To provide perspective on the country groups, a series of macro variables are illustrated to show the share of global GDP, global population, CO2 emissions and primary energy supply (Figures 7 through 10). This section concludes with a readiness matrix (Figure 11) with the positionings of countries along the system performance and transition readiness measures. This map has been created for illustrative purposes only, using publicly available sources. 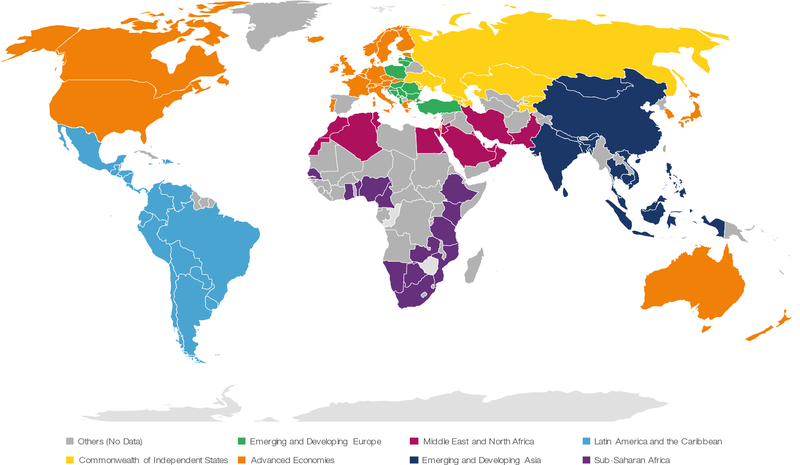 The boundaries shown do not imply any opinion on the part of the World Economic Forum. No citation or use of this map is allowed without the written consent of the World Economic Forum. Advanced Economies rank high on the ETI due to well‑developed and modern energy systems coupled with a robust supportive environment with transition readiness enablers. Of the top 25 countries ranked in the ETI, 21 are Advanced Economies. This group’s relatively high score on energy system performance confirms both the importance of pursuing a balance between energy security, environmental sustainability and economic growth, and the synergistic effect with transition readiness enablers. The group’s average score of 88/100 on the energy security and access dimension is noteworthy considering most countries in this group are net energy importers (except Norway, Canada and Australia). Diversification of the fuel mix and a sufficient pool of import partners have been instrumental in ensuring reliability and security of energy supply in Advanced Economies. The key challenges for energy transition in these economies relate to affordability and environmental sustainability. Average scores for economic development and growth and energy security and access for Advanced Economies are higher than for all other groups. However, on environmental sustainability, the group lags behind the Latin America and Caribbean region, primarily because of comparatively higher emissions per capita and higher carbon intensity of the fuel mix. High retail electricity prices in high‑ranking countries, such as Denmark, Germany, Belgium, Spain and Portugal, highlight the complexity of keeping energy prices affordable while investing in energy transition. Recent evidence2930 suggests rising electricity prices are affecting households and small business more than large industrial energy consumers, which affects the equity and inclusiveness in sharing the costs of energy transition. Analysis of Advanced Economies’ data underscores the challenge of ensuring energy security and economic growth while improving environmental sustainability. Scores on environmental sustainability are the lowest of the three when considering the three corners of the energy triangle. Moreover, while the average score on environmental sustainability for Advanced Economies improved over the years, the rate of improvement has slowed over the past year. The Advanced Economies demonstrate challenges in reducing the energy intensity of their economies, as the rate of energy intensity improvement in 2017 was slower than in previous years across many countries in this group. Canada, Australia and South Korea are the only large economies in this group with scores below the top quartile on the ETI, which is primarily due to their low scores on environmental sustainability. Although ranking high on economic growth and energy security, the three economies are among those with the highest carbon intensity of fuel mix, per‑capita energy consumption and carbon emissions in the world. With nearly 50% of the world’s population, Emerging and Developing Asia has the largest share of the world’s energy consumers among the regions analysed in this report. Most of the growth in energy demand comes from this group of countries, and data shows its total primary energy supply grew by 28% over the past eight years, which underscores the region’s relevance when considering energy transition. While the group’s 13 countries are diverse, for example in their income levels, institutional arrangements and economic structures, they share common challenges related to their energy system. With the exception of Malaysia, Mongolia, Cambodia and Brunei Darussalam, the countries are net energy importers. Rising income levels, the increasing rate of urbanization and energy security concerns have been leading factors in the development of their respective energy policies. As a result, several countries have opted for an energy mix with an important role for coal, an abundant resource in many Asian economies. This has compromised the region’s environmental sustainability score, which averages 49% (below the Advanced Economies’ average of 54%). Relatively high industry electricity prices and wholesale gas prices, given the region’s many energy importers, have led to lower rankings in the economic development and growth indicators. Malaysia is the highest‑ranked country from the region in the Index, and also scores highest in system performance. Its energy security and access score is among the top 20 of the 115 countries surveyed in the ETI, thanks to its high electrification rate, low usage of solid fuels, diverse fuel mix and high quality of electricity supply. On the environmental front, however, its carbon intensity and per‑capita carbon emissions are over 20% above the global average, leading to a lower score on this dimension. To tackle the challenge of carbon emissions, Malaysia has pledged to increase the installed capacity of renewables from 21% to 30% and will require new coal plants to employ technologies with higher efficiency and lower emissions.33 Given the country’s strategic priority to maintain affordable energy,34 using these technologies could present a challenge as they are among the most expensive means of reducing carbon emissions compared to employing renewable energy sources.35 This confirms the challenge of achieving a balanced transition across the energy triangle’s three dimensions. Sub‑Saharan Africa has the lowest levels of per‑capita energy consumption, with about 600 million people lacking access to electricity and many more without access to clean cooking fuels. The region’s energy demand, representing 3.4% of global demand (per the IEA), is expected to grow three‑fold by 206039 driven by a rising population, improved access to energy and economic growth. Due to unresolved challenges on energy access and environmental sustainability, and the lack of enablers such as policy stability, a strong institutional framework and supporting infrastructure, countries in Sub‑Saharan Africa rank low on the ETI. The analysis of ETI subcomponents and their dimensions reveals the complexity of energy transition challenges in the region. The average scores on energy system performance have improved over the past five years, but all Sub‑Saharan countries score lower than the global average on energy system performance. The scores on the economic development and growth dimension are closer to the global average, largely driven by increasing exports of oil and gas. As the region is rich in natural resources, fossil fuel production and export are key contributors to economic growth and job creation. Modernization and digitalization of exploration and production infrastructure to increase productivity and operational efficiency, as well as reskilling of the workforce,40 can help unlock further improvements. Effective institutions are critical, however, in ensuring the available natural resources are used optimally. The region’s average scores on the energy security and access dimension are the lowest among the energy triangle’s three dimensions. While electrification across Sub‑Saharan Africa has been steadily increasing, it has struggled to keep pace with the rising population.41 Moreover, the pace of electrification is slow compared to Emerging and Developing Asia.42 India, Indonesia and Bangladesh have made fast progress towards universal electrification due to strong political commitment, a stable policy regime, use of grid expansion and decentralized generation sources, and a supportive environment for investment in infrastructure. In Sub‑Saharan Africa, the Last Mile Connectivity Project43 in Kenya and the National Electrification Program in Ethiopia44 are steps in the right direction. Ensuring affordability is critical, however, to making progress on electrification goals; average household electricity prices in real terms are higher in Sub‑Saharan Africa than in all other regions. The affordability challenge is a result of low per‑capita income levels and high costs of electricity supply due to system losses and inefficient operations. Modernizing utilities to make the power supply more reliable can result in further tariff hikes, and introducing cost‑recovery tariffs can further exacerbate concerns about affordability. Thus, better targeting of energy subsidies to low‑income households is required,45 as is prioritizing decentralized sources of generation. Despite relatively low CO2 emissions per capita and average carbon intensity of primary energy supply, the average scores on environmental sustainability dimensions are on par with the global average and have declined consistently over the past few years. Apart from Namibia, Ghana and Botswana, countries in this region have among the highest energy intensities in the world. Due to recent discoveries of oil and gas, and abundant coal in Botswana and South Africa, the share of renewable energy in the power generation mix declined in 2018.46 Leveraging domestic resources is essential for growth, which shows the link between environmental sustainability and economic growth in Sub‑Saharan Africa. The challenge on environmental sustainability is also closely linked to energy security and access concerns. Due to the lack of access to reliable and affordable electricity, industries and households increasingly use diesel generators to supply power. Moreover, limited access to clean cooking fuels leads to the use of traditional biomass for cooking purposes. As a result, countries in the region have high PM2.5 concentration in the atmosphere. Sub‑Saharan Africa has abundant potential in renewable energy, including hydro, solar and wind. Given the significant power deficit and strong forecasted growth in generation capacity, the region could avoid carbon lock‑in and the risk of stranded assets by increasing the share of renewable energy and decentralized sources in the generation mix. Latin America and the Caribbean has 8.3% of the world’s population and accounts for almost 6% of the global energy demand. The IEA estimates demand will increase by almost 40% by 2040.48 The region shows great disparity in per‑capita energy demand where, for example, Chile, Argentina and Venezuela have four times the per‑capita energy demand of Honduras, Nicaragua or Haiti. To a certain degree, the disparity coincides with both the level of income and energy access of these countries. The heterogeneity in the distribution of natural and economic resources and income levels carries over to the ETI rankings, where the countries are scattered between the 11th and 115th rank with no concentration. Looking at the ETI’s subcomponents, and particularly system performance, most of the countries in this group scored consistently well over the past several years, buoyed by strong environmental sustainability scores with low levels of pollution, emissions per capita and carbon intensity. This results from having the highest share of renewables and second‑lowest share of oil, gas and coal within its energy mix compared to other country groups; renewables’ share was 8% in 2016 while Advanced Economies had only a 2% share in their energy mix. The impact of renewable energy production on the environmental scoring is even more evident for Uruguay, Costa Rica and Brazil, who are among the 10 highest‑scoring countries in the ETI’s environmental sustainability dimension with large shares of renewables in their total primary energy supply. Along the economic development and growth dimension, this group’s scores are close to the global average. The most influential factor within this dimension has been the high industrial electricity prices and their impact on energy affordability. Of the group’s 21 countries, only five have prices lower than the global average: Chile, Mexico, Trinidad and Tobago, Ecuador and Paraguay. Deepening the integration of energy systems through regional electrical networks will likely help to increase competition and lower energy prices within the region. It could also facilitate further integration of renewable power capacity and improve the security of supply and resilience of the grid by adding diversity to the power mix. Uruguay and Costa Rica are the highest‑ranking countries in this region with combined aggregate scores of 67/100 and 64/100, respectively. Both scores are driven by strong performance along the environmental dimension. The group’s lowest‑ranking country, Haiti, is also the lowest‑ranking this year in both energy system performance and transition readiness. The Middle East and North Africa group accounts for 6.8% of the global energy demand and 7.1% of the world’s population. The region is well endowed with fossil fuel resources that have greatly influenced its energy mix, with 92% of its primary energy supply provided by oil and gas. Geopolitical tensions and instability in these countries affects political priorities, opportunities for energy systems integration and the ability to attract investments required for the energy transition. While the average score of system performance within the region is closer to the global average, analysis of the three dimensions reveals imbalance in meeting the three objectives of the energy triangle. Analysis of the underlying data reveals the region has the lowest average household and industry electricity prices and the lowest wholesale gas prices. The positive impact of low prices on the economic development dimension, however, is offset by the negative impact of having the highest level of energy subsidies in the world, calculated as the share of a country’s GDP. Significant efforts are under way within these countries to reform energy prices. Nine countries, at a minimum, have imposed certain forms or levels of energy price reforms over the past few years: Saudi Arabia, United Arab Emirates, Oman, Qatar, Kuwait, Bahrain, Algeria, Iran and Egypt.58 In Saudi Arabia, some fuel product prices have increased up to 200% compared to 2015 levels. Some of these efforts are not captured in the Index because data was unavailable at the time of publishing. 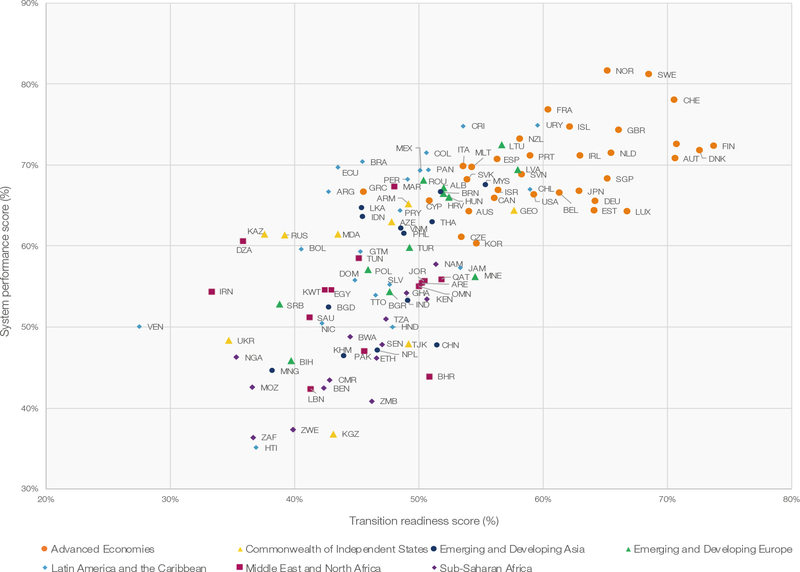 Finally, a readiness matrix (Figure 11) can show the positionings of countries along the system performance and transition readiness measures, which can prove helpful for benchmarking. 29 Binnie, I. and Rodríguez, J.E. “Spain scraps ‘sun tax’ in measures to cool electricity prices”, Reuters, 5 October 2018, https://www.reuters.com/article/us-spain-politics-electricity/spain-scraps-sun-tax-in-measures-to-cool-electricity-prices-idUSKCN1MF1T0. 30 Wilkes, W. and Parkin, B. “Germany’s Economic Backbone Suffers From Soaring Power Prices”, Bloomberg.com, 24 September 2018, https://www.bloomberg.com/news/articles/2018-09-24/electricity-power-prices-surge-for-german-mittelstand-merkel. 31 Swedish Institute. 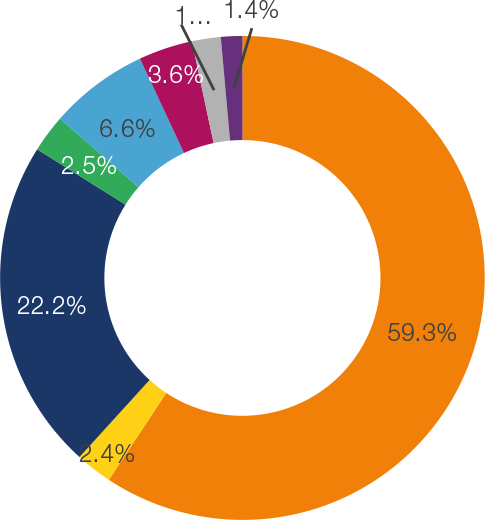 “Energy Use in Sweden”, Sweden.se, 28 February 2019, https://sweden.se/society/energy-use-in-sweden/. 32 Government Offices of Sweden. “Riksdag passes historic climate policy framework”, Government.se, 15 June 2017, https://www.government.se/press-releases/2017/06/riksdag-passes-historic-climate-policy-framework. 33 Singapore International Energy Week (SIEW). “SIEW 2018: Interview with Datuk Badriyah binti Hj. Ab. Malek, Deputy Secretary‑General (Energy), MESTECC, Malaysia”, Siew.sg, https://www.siew.sg/newsroom/5qs-interviews/detail/siew-2018-interview-with-datuk-badriyah-binti-hj.-ab.-malek-deputy-secretary-general-(Energy)-MESTECC-Malaysia. 35 Gillingham, K. and Stock, J.H. “The Cost of Reducing Greenhouse Gas Emissions”, 2 August 2018, https://scholar.harvard.edu/files/stock/files/gillingham_stock_cost_080218_posted.pdf. 36 OECD/IEA, World Energy Outlook 2018. 37 Brauer, M. et al. (for the Global Burden of Disease Study 2016). “PM2.5 air pollution, mean annual exposure (micrograms per cubic meter)”, World Bank, World Development Indicators, https://data.worldbank.org/indicator/EN.ATM.PM25.MC.M3?locations=CN. 38 Hao, F. “China releases 2020 action plan for air pollution”, chinadialogue, 6 July 2018, https://www.chinadialogue.net/article/show/single/en/10711-China-releases-2-2-action-plan-for-air-pollution. 39 World Energy Council. World Energy Scenarios|2017, https://www.worldenergy.org/wp-content/uploads/2018/02/Scenarios_Regional-Perspective-for-Sub-Saharan-Africa-1.pdf. 40 Gueye, M.K. “Africa’s Energy Transition: Opportunities and Challenges for Decent Work”, Bridges Africa, International Centre for Trade and Sustainable Development, 24 April 2018, https://www.ictsd.org/bridges-news/bridges-africa/news/africa%E2%80%99s-energy-transition-opportunities-and-challenges-for-decent. 41 Osmundsen, T. “’Energy access for all’ – a double-edged sword?”, Energi og Klima, 2 November 2018, https://energiogklima.no/blogg/energy-access-for-all-a-double-edged-sword/. 42 Cozzi, L., Chen, O., Daly, H. and Koh, A. “Commentary: Population without access to electricity falls below 1 billion”, International Energy Agency, 30 October 2018, https://www.iea.org/newsroom/news/2018/october/population-without-access-to-electricity-falls-below-1-billion.html?utm_source=newsletter&utm_medium=email&utm_campaign=newsletter_axiosgenerate&stream=top. 43 World Bank. “Bringing Electricity to Kenya’s Slums: Hard Lessons Lead to Great Gains”, 20 August 2015, http://www.worldbank.org/en/news/feature/2015/08/17/bringing-electricity-to-kenyas-slums-hard-lessons-lead-to-great-gains. 44 World Bank. “Ethiopia’s Transformational Approach to Universal Electrification”, 8 March 2018, https://www.worldbank.org/en/news/feature/2018/03/08/ethiopias-transformational-approach-to-universal-electrification. 45 Kojima, M. and Trimble, C. Making Power Affordable for Africa and Viable for Its Utilities, African Renewable Energy Access Program/World Bank, 2016, https://openknowledge.worldbank.org/bitstream/handle/10986/25091/108555.pdf?sequence=5isAllowed=y. 46 Osmundsen, T. “Renewables losing market share in Africa”, Energi og klima, 22 November 2018, https://energiogklima.no/blogg/renewables-losing-market-share-in-africa/. 47 Maseko, N. “South Africa faces power crisis and blackouts”, BBC.com, 4 February 2015, https://www.bbc.com/news/av/world-africa-31126033/south-africa-faces-power-crisis-and-blackouts. 48 OECD/IEA, World Energy Outlook 2018. 50 IEA. Information received by email, 2018. 51 Almeida Prado, F. et al. “How much is enough? An integrated examination of energy security, economic growth and climate change related to hydropower expansion in Brazil”, Renewable and Sustainable Energy Reviews, Vol. 53(C), January 2016, pp. 1132-1136. 53 World Bank, Sustainble Energy for All Database. “Access to electricity indicator (% of population)”, https://data.worldbank.org/indicator/EG.ELC.ACCS.ZS?locations=ZJ. 54 WorldBank. “Regulatory Indicators for Sustainable Energy 2017”, https://rise.esmap.org/countries. 55 Qiao, F., Li, Q. and Lei, Y. “Particulate Matter Caused Health Risk in an Urban Area of the Middle East and the Challenges in Reducing its Anthropogenic Emissions”, Environment Pollution and Climate Change, Vol. 2, Issue 1, 2018, https://www.omicsonline.org/open-access/particulate-matter-caused-health-risk-in-an-urban-area-of-the-middle-east-and-the-challenges-in-reducing-its-anthropogenic-emissio-10-4712.pdf. 56 El Gamal, R. and Carvalho, S. “Saudi Arabia sees domestic energy use falling, plans renewables push”, Reuters, 15 January 2019, https://www.reuters.com/article/us-saudi-energy-reforms/saudi-arabia-sees-domestic-energy-use-falling-plans-renewables-push-idUSKCN1P918N. 57 Government.ae. “Energy”, 15 January 2019, https://government.ae/en/information-and-services/environment-and-energy/water-and-energy/energy-. 58 Krane, J. “Political enablers of energy subsidy reform in Middle Eastern oil exporters”, Nature Energy, Vol. 3, 23 April 2018, https://www.nature.com/articles/s41560-018-0113-4 . 59 Egypt Today. “Electricity Ministry works on feasibility studies of Egypt-Cyprus power linkage”, 26 February 2019, http://www.egypttoday.com/Article/3/65290/Electricity-Ministry-works-on-feasibility-studies-of-Egypt-Cyprus-power.